I can totally imagine you jamming with some of the hotshot teen musicians I've met in the Calif. bluegrass/folk community. Sammy did an awesome job. He was very personable so it was like being there with him in person. His music is very unique and it is a lot of fun to listen to him sing and play his instruments. . . Sammy you must have a very old soul. Loved the show! Sammy is an amazing talent, incredible musicianship and songwriting. And the sound and video quality were awesome! Big fan. Sam was awesome as usual and the new songs sound great. Sam is getting better everyday, so talented at such a young age. 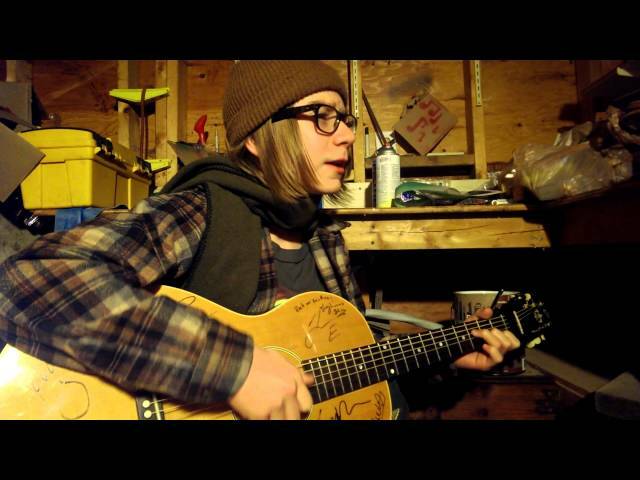 Sammy Brue is a 13 year old folk singer from the Portland Oregon area. For the Christmas of 2011 after he and his family moved to Utah, his father bought him a guitar so he had something to do while passing the time. Wanting to play songs by the late Woody Guthrie and Bob Dylan he started learning chords to emulate these great musicians. Within 2 months he wrote his first song “The Woody Guthrie Song” and from that day forward the 10 year old didn't look back. Now at the age of 13, Sammy Brue has over 15 original songs under his belt and has opened for acts like Joe Fletcher, John Moreland, Lukas Nelson, Asleep at the Wheel, and Hayes Carll. He finds inspiration in the folk/americana genre of music and has made some great friends in its community. As a one man band, this young Troubadour has made friends all over the country and especially the Northwest where he travels around to play. Dubbed a young Dylan and the reincarnated Woody Guthrie Sammy Brue considers himself a working musician and student of other great acts like Justin Townes Earle, the Avett Brothers, and Joshua Black Wilkins. His hard work has earned him endorsements from The Loar Guitars, Recording King Banjos, and LR Baggs.